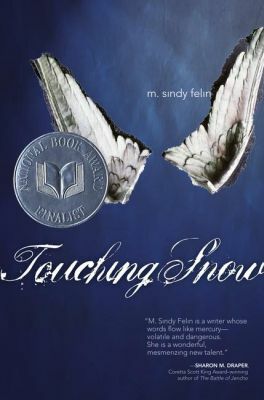 Chosen by NPR as a Novel You Wish a Teacher Would Assign, M. Sindy Felin’s debut novel Touching Snow is an amazing story to read. I literally devoured Karina’s story in two days. 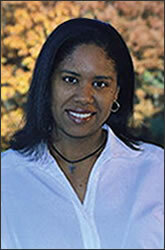 Author Sharon Draper describes Felin as “. . . a writer whose words flow like mercury – volatile and dangerous. She is a wonderful, mesmerizing new talent.” Touching Snow was chosen as a finalist for the 2007 National Book Award in the young people’s literature category. In an interview with author Rita Williams-Garcia, Felin shares the decisions that she made about Karina’s story as well as the elements of light and dark within the story. She even hinted at the possibility of continuing Karina’s story. “The best way to avoid being picked on by high school bullies is to kill someone.” The opening sentence of Touching Snow lets you know this is no ordinary story and hooks you to find out what happens that the protagonist is forced to kill someone. In a Behind the Book segment, the author explains how growing up as a Haitian family in America impacted her and how that led to her writing Touching Snow. The ending of the story was inspired by an article that she read as a teenager where a son killed his mother. She was curious as to what the mother could have done that her own son would kill her. Touching Snow explodes when the Daddy savagely beats Karina’s older sister Enid which causes social services to investigate their home life. From there, we see the three oldest daughters trying to make sense of their life now that the Daddy is gone and their home is a more pleasant environment even though there are many uncertainties that they face. Will the Daddy return? Will they have to go on welfare? Karina gets an opportunity to volunteer at a community center where she meets Rachael who becomes a friend to her. Finally Karina is able to talk to someone about some of the things that happen at home when the Daddy is around. The ending will shock you, but the author warned us what would happen in the very first sentence. Karina’s story is real and while the brutality of the abuse inflicted on the kids is harsh, Felin is able to provide us with a balance of light-hearted and tender moments among the siblings and their cousins. I love this book so much! I read it in a week. This book really touches home. It is sad in some parts but it’s good for people without hope and living in a strict family. It gives you some sense of faith. I don’t know what came about with all of the lesbionotic ways of Karina and her friend, Rachel. But overall, I would recommend this book to 14 year olds and older. I’m only 13 but I’m mature enough to read this book. Love it! What a wonderful read. Completely agree with NPR that this book should be required reading for every young adult.